Wheel sizes of all diameters mingle happily as Brook MacDonald and Tracey Hannah take victories in Rotorua. 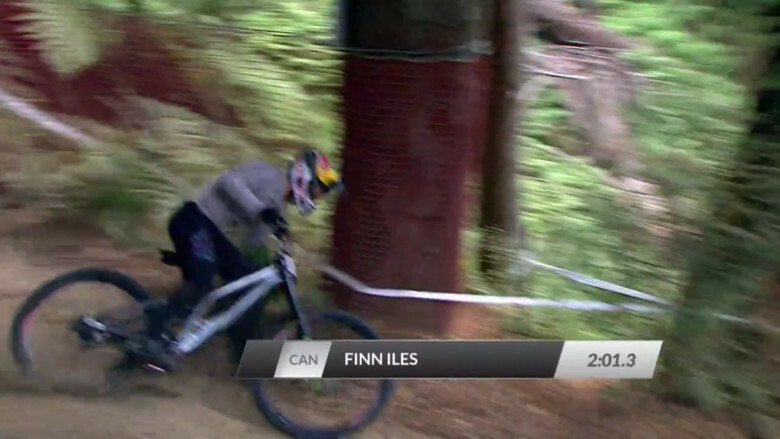 When the DH track at Skyline in Rotorua, New Zealand is dry and dusty, it's one of the great race venues. Track features range from wide open and grassy to steep and technical in the woods. The highlight of the course is the massively off-camber and bench-cut finish zone that has riders fighting the pull of gravity downward as they aim for the line. 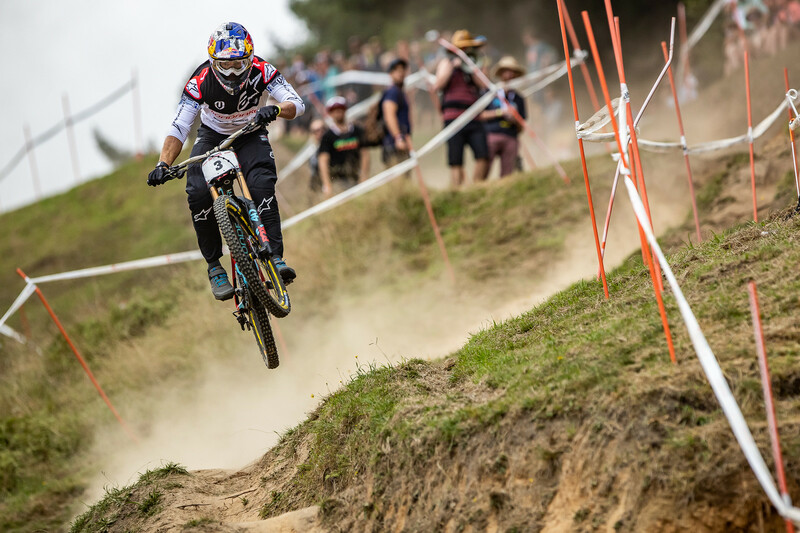 With a solid turnout of World Cup-caliber riders, the Crankworx Rotorua DH race could be considered a race that gives us some real insight into how racers have prepared for the season ahead. The race bikes are prepped and dialed and the fitness is sparking. Brook MacDonald kept New Zealanders amped by taking a win in his home country. His run was deliberate, focused and filled with that touch of ragged-edge drama that we expect from the Bulldog. 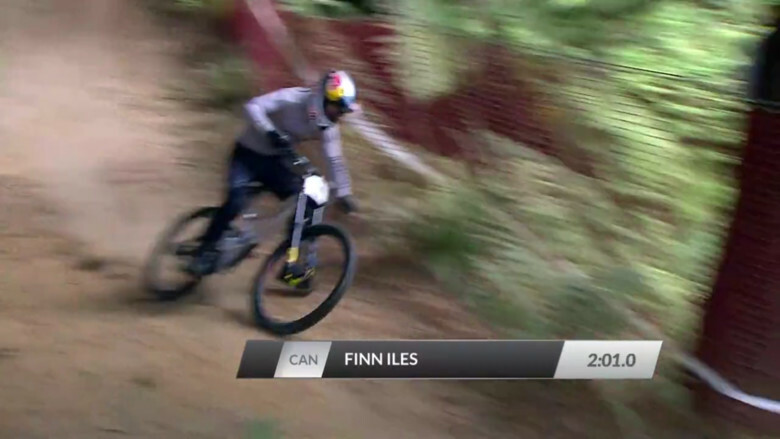 He rode his Mondraker Summum with 27.5-inch wheels to victory. Finn Iles has been riding a new Specialized *Demo* that uses 29-inch front wheel and 27.5-inch rear wheel. Others like Mick Hannah used the mis-matched wheel combo, but Finn was the rider to give the set up that reminds of a 2004 Big Hit some credibility. 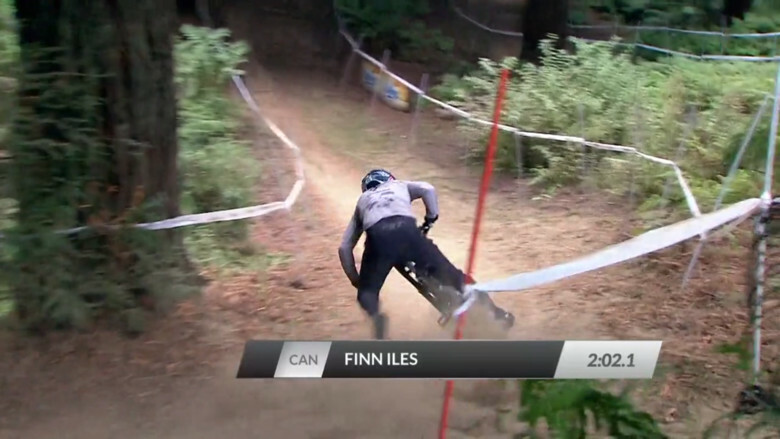 Finn placed 2nd by just .09 seconds and, if style matters, laid down one of the most epic foot-out, flat corner drifts in his run, with his body well over the front wheel, letting the rear wheel slide around in an explosion of dust and Sam-Hillness. He also had an audible, NFG-huck-to-flat at a road crossing. Music to our ears and our eyes between Brook's bruising and Finn's flying. It is great to see George Brannigan healthy and confident, back on track, with a 3rd place finish only .5 off of victory. Loic Bruni, current World Champ, had a front flat ending his run. Tracey Hannah took the women's victory by almost five seconds with other World Cup riders like Tahnee Seagrave (3rd) and Emilie Siegenthaler (4th) present. Local knowledge seemed to have paid off as Katy Heatherly of NZ landed in 2nd place. My thought on transgender athletes, is in the future, when it's more prevalent, there will be different classifications of athletes. Men, women, trans-men and trans-women. Until that point, what exactly is the issue? Are the women racers feeling cheated? Or is it just a bunch of people stating their opinions, even though they are not a direct competitor? Have there been any protests from direct competitors? The woman who came runner up in last year's NZ National DH champs was unhappy at the time, others declined to be interviewed, presumably as this is such an emotive subject. I'm in agreement with you that a separate category is probably the best way to go. Kate Weatherley has said she's against this, as she identifies as a woman, so should be able to race in that category. I think this is one of those situations where you'll never please everyone. no mention of the sandbagging in the womens race? i hadn't heard about it. what happened? if you race pro, can you sandbag? you're not in a class below your skill level. details please. "Local knowledge"........I think there was a bigger advantage then that. what's the bigger advantage? please, someone give details instead of cryptic hints at cheating or conspiracy. i've still not heard anything concrete. finally, someone had the courage to enlighten me on the cryptic "sandbagging" comments. 2nd place in the pro women's class is transgendered, so there is debate about the racing being fair. why that couldn't be mentioned here in the comments from the get-go is beyond me.